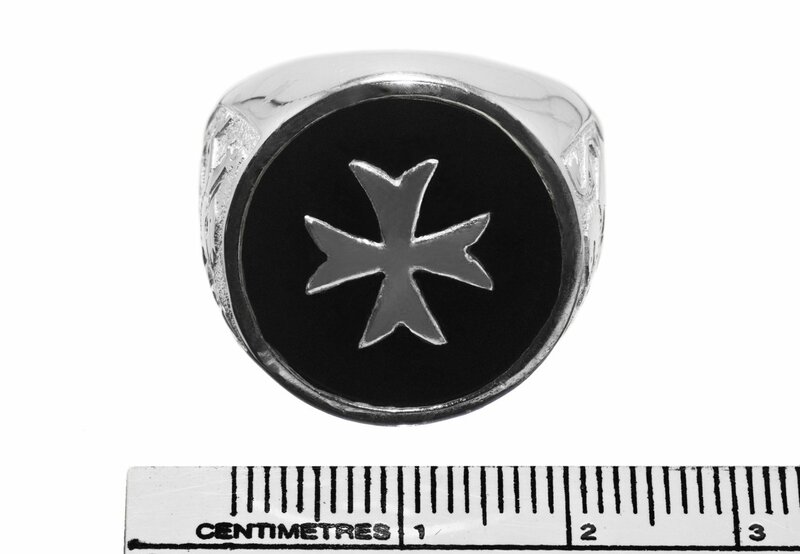 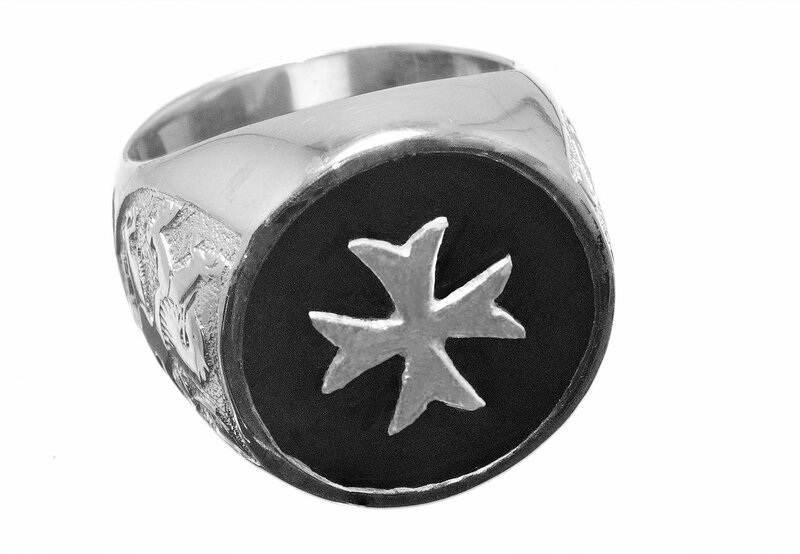 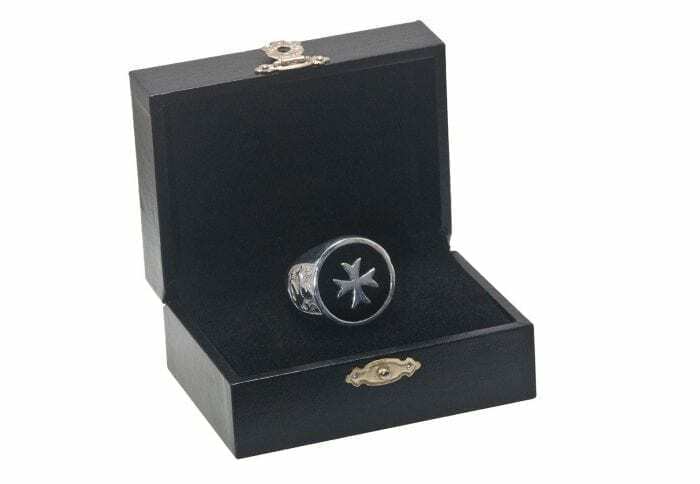 We carved a roundel of black onyx and over-laid in sterling silver to create this handmade Maltese Cross black onyx ring. 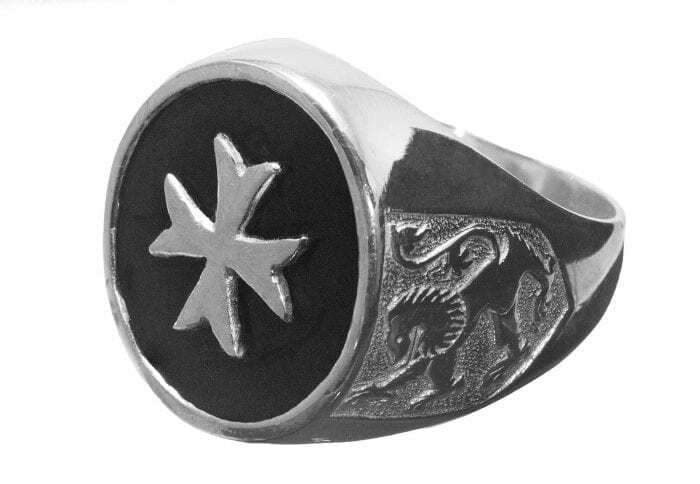 A sterling silver chassis with the Lion Of Scotland shoulder embellishments to create a wonderful and unique black onyx ring. 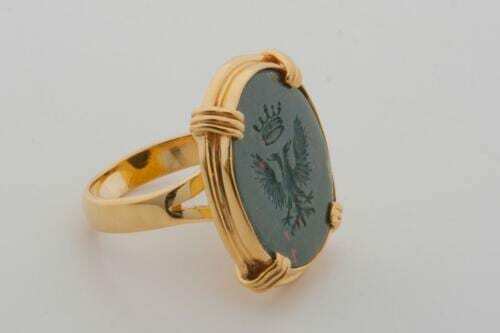 The roundel stone measures 20 mm (25/32 inch. 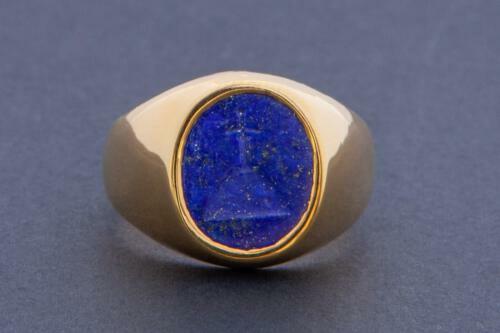 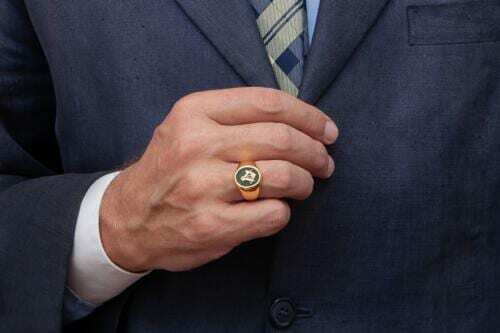 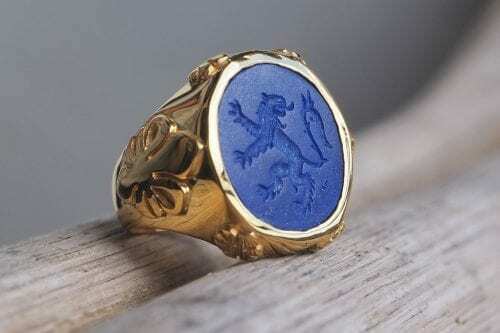 This is one of our medium sized Regnas handmade signet rings.